The world is not known for equality… there are the haves and the have-nots; there are the rich in pent-houses and there are the homeless; there are the Michelin starred meals and there are deaths due to hunger. We live in this world everyday and it is more apparent in a country like India. There is latent anger in a large number of people towards this inequality and financial disparity. We have heard and read about the Occupy Wall Street protest movement in New York, where the activists are protesting against greed, corruption and economic inequality. Closer home, Anna Hazare stages regular protests against corruption which brought the Government almost to its knees. What if this anger takes a violent form; moves from protests to terrorism? A storm comes and attempts to change the world order, creating complete chaos… The question actually may not be ‘what if’ but ‘when’. Christopher Nolan’s third and final installment in the Batman trilogy, The Dark Knight Rises takes us in the middle of one such attack that threatens to destroy the financial system and the world as we know it. Similar thoughts were brought up in the first film, Batman Begins (2005) as we understood the motives of the League of Shadows and its leader, Ra’s al Ghul. Unlike the earlier films where the city of Gotham is under threat and faces a few attack; in this film Nolan lets Batman’s city burn and destruct by the hands of a terrorist, Bane who aims to restore the balance in the world by destroying it, and particularly the Gotham city. The film’s tone and the conflict is captured in this one scene where Selina Kyle or Catwoman (Anne Hathaway) tells the billionaire, Bruce Wayne or Batman (Christian Bale), “There’s a storm coming, Mr. Wayne… when it hits, you’re all going to wonder how you could live so large and leave so little for the rest of us”. Bruce Wayne faces the biggest challenges in this film, both at the physical as well as emotional level. The film is set, eight years after the events in The Dark Knight, where Harvey Dent is hailed as a hero who gave his life for the city of Gotham and Batman labeled as his murderer and a hero gone rogue. Bruce lives the life of a recluse until the clouds of war start looming again and his friend, Commissioner James Gordon (Gary Oldman) faces the masked terrorist, Bane (Tom Hardy). He realises that his city needs Batman again and his company, Wayne Enterprises needs a strong person to lead it and save its potentially dangerous defense assets. Miranda Tate (Marion Cotillard), an environmentalist and a business woman shows hope for both Wayne Enterprises and the troubled soul of Bruce. Apart from the Batman film regulars like scientist and President of Wayne Enterprises, Lucius Fox (Morgan Freeman) and Bruce’s butler and father figure, Alfred Pennyworth (Michael Caine); we are introduced to a young police officer, John Blake (Joseph Gordon-Levitt) who senses the danger his city is in, much before everyone else. Amongst the cast, everyone is pitch perfect and Christian Bale once again shows his versatility as an actor; he is the strong, the invincible Batman and also the broken Wayne. Michael Caine brings emotions to the forefront while Gordon-Levitt adds freshness to the series. Marion Cotillard is enigmatic and beautiful as ever; a little bit more of her would not have hurt. Tom Hardy as Bane looks and behaves like a monster; he is not like the maniacal Joker and comparisons with Heath Ledger (who played Joker in The Dark Knight, 2008) are unfair. It’s a pity we get to see Hardy’s face only once in the film. The bright spark in the film however is Catwoman… Anne Hathaway has done a fantastic job with the character; she is witty, unpredictable and kicks a**. Christopher and Jonathan Nolan’s script links back to many elements from the earlier films and closes many loops. The film does slow down in the middle but does not get boring. There are many predictable moments but an equal number of small and big surprises. Batman’s new air-borne vehicle, the Bat is beyond cool and so is his Batcycle. Spectacular special effects and scenes of destruction make your jaw drop and there are many moments that make you nervous. 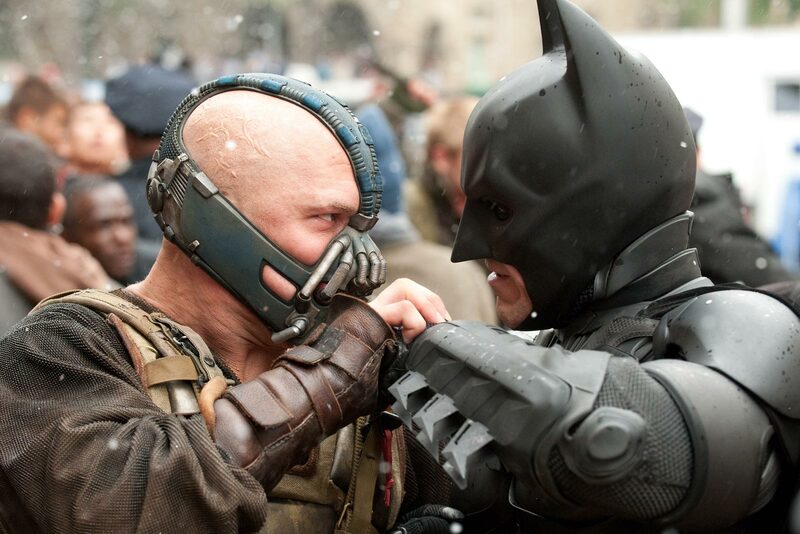 Hans Zimmer’s music is good and the Bane chant pumps up the tension. At about 164-minutes, it is a long film but I am not complaining. For all its symbolism and grave themes, The Dark Knight Rises entertains and is a fitting finale to the best Batman story ever told on screen. PS: Read my post on how Nolan made me a Batman fan here. Great review, I’m a huge fan of Nolan’s work and his handling of the Batman films, Between his dynamic story lines, fleshed out characters and a rare visceral filming style not often scene in the modern cinematic landscape of CGI effects, he has never failed to disappoint and I was thrilled to see that his winning streak continue with DKR. It’s always great to see someone who can take good film making and make it popular, and if anything the only thing that made DKR bittersweet for me is that it marks an end of an era for us fans of Nolan’s Batman movies. Now I can just hope that Man of Steel brings back some of the magic when it comes out next year. Thank you and I agree it’s a bitter sweet ending – a fantastic end to the trilogy but it is an end. 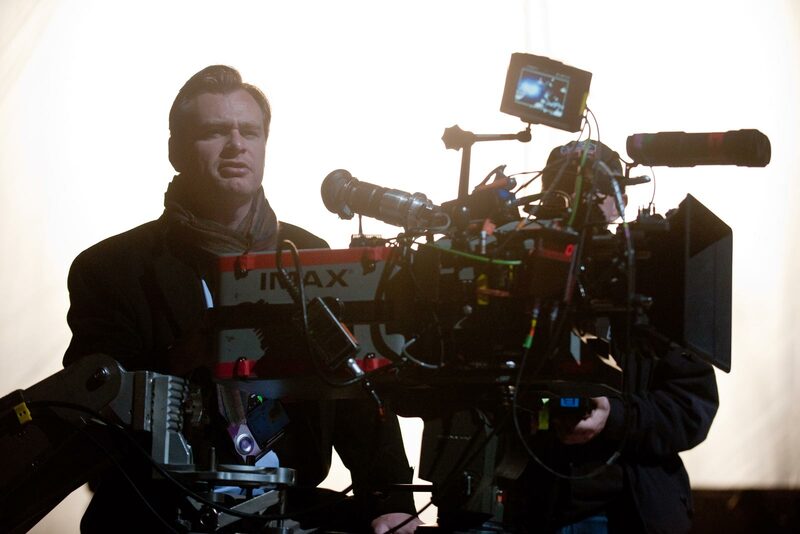 Regarding Nolan, one can go on and on… He is undoubtedly amongst the best filmmakers we have today. I’d go to the extent of saying that he’s the Spielberg of this generation. How many times have you tried doing Bane’s voice? Haha your right! I could be Bane! Can i use this review for writing an article? Hi Vicky, Sure you can quote from the post with credit to me. Do share your article. Cheers!